1.Do you want to increase your sales and brand productivity? 2.Do you want to take your business to another level? 3.Do you know quality customer services can improve the bottom- line of your business? 4.Do you want to acquire more skills to improve your business? 5.Do you want to know how you can get investors to invest in your business? 6.Do you know the role social media plays in the making of a business? Then as a fashion or beauty entrepreneur, you should register now for the Lamodepreneur Conference & Press Briefing. 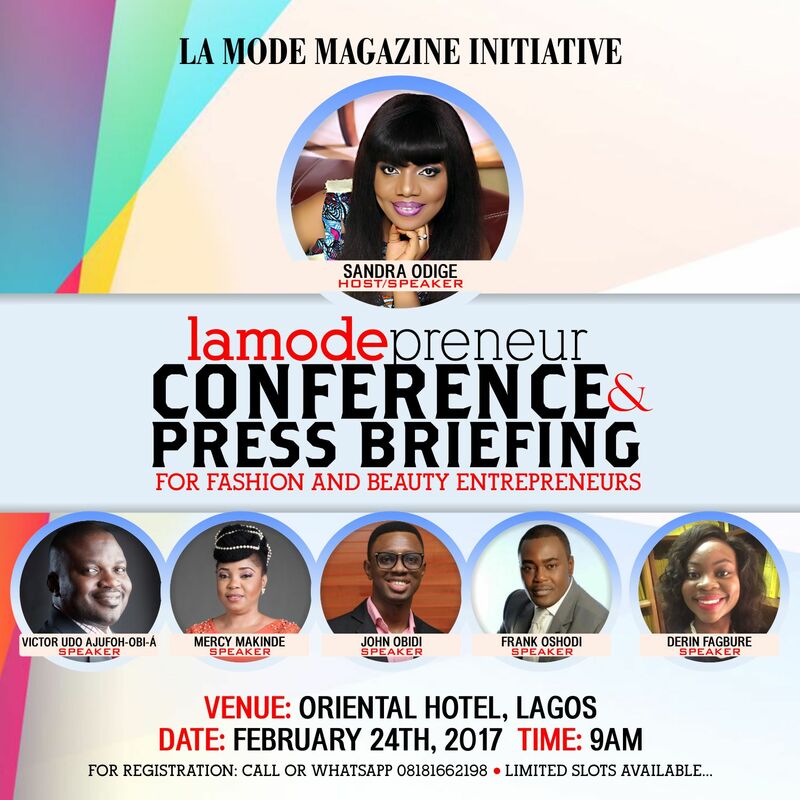 Lamodepreneur conference and Press Briefing is a La Mode Magazine initiative to create a platform for fashion and beauty entrepreneurs to learn from different renowned Speakers in other to develop and strengthen entrepreneurial quality in business. It is also a networking and collaborating platform for entrepreneurs. •	Financial management in business and investment management needed to grow and establish a business. 1. To develop necessary knowledge and skills among the participants. 2. To create an interactive learning platform to educate fashion and beauty entrepreneurs in Entrepreneurship, Business Management, Customer Service and Financial Management that will ultimately translate into improved efficiency and productivity. 3. To improve the entrepreneurial skills of the youths in the fashion business. 4. Opportunities for entrepreneurs to connect with investors. 1. Fashion entrepreneurs will be given good press coverage and a platform to talk about their brand. 8. To know the pros and cons of being an entrepreneur. 9. To impart information about the process, procedure and rules and regulations for setting up a new projects. 10. To develop and strengthen entrepreneurial quality and motivation. 11. To impart basic managerial skills and understandings to run projects efficiently and effectively. 12. To develop various business related skills of marketing, good customer service, quality management production, distribution and people management. 13. To make the potential entrepreneurs know about the possible risks and failures of the project and make them learn how to overcome these problems. 14. To enable the entrepreneurs to communicate clearly and effectively. 16. To develop a passion for integrity, honesty and industrial discipline. 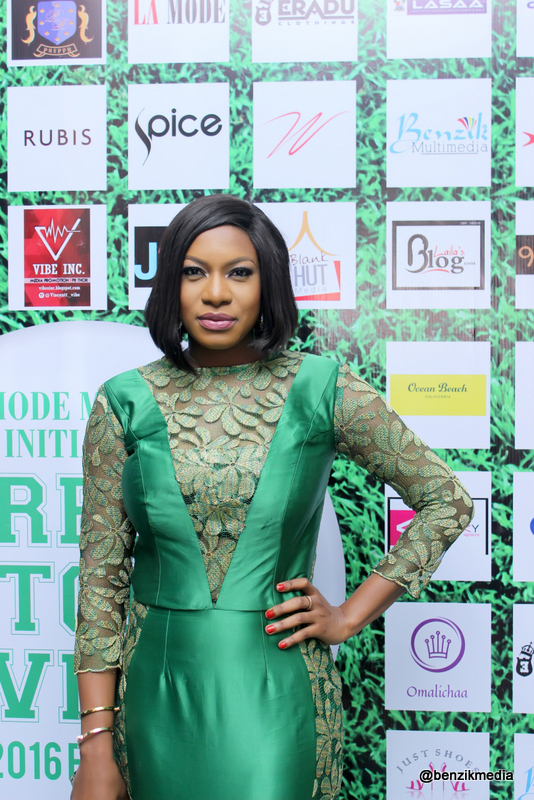 Chika Ike: Stunning Outfit For La Mode Magazine Green October Event!